Fethead preamp: boost your ribbon or dynamic microphone. This model has a high-pass filter to remove low-frequency rumble. 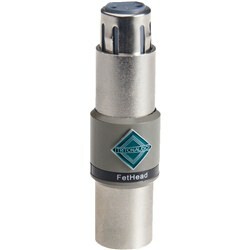 FetHead Filter is a Fethead version with a built-in 6dB/octave high pass filter with a corner frequency of 220Hz. It is specially designed for microphones which exhibit an excessive proximity effect / low frequency response, like long motor ribbon microphones. The components which make up the filter are not directly in the signal path but are applied to the components which set the gain of FetHead Filters amplifier, thus making it frequency dependant. This way the sonic character which makes a FetHead attractive to the ear is preserved. Inspired by the positive results of the BigAmp we wondered if a phantom powered, high quality preamp preceding the microphone cable could improve the sound quality of a ribbon or dynamic microphone. the results were more then convincing. Enter FetHead, our latest innovation in phantom powered preamp design. While testing FetHead we noticed an overall increase of sound quality and a change of tonal character of the attached dynamic microphone towards a more open, controlled sound. 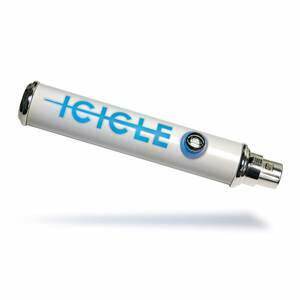 In short, we noticed an improvement on all tested dynamic microphones. A Shure SM57 or SM58 for instance, sounds more responsive over a broader frequency range. When mated with a high-end dynamic microphone like a Sennheiser MD441, or Shure SM7 FetHead really shines. Ribbon microphones benefit greatly too because of a much better impedance match, which lessens the load on the microphone, thus giving it better transient response characteristics. 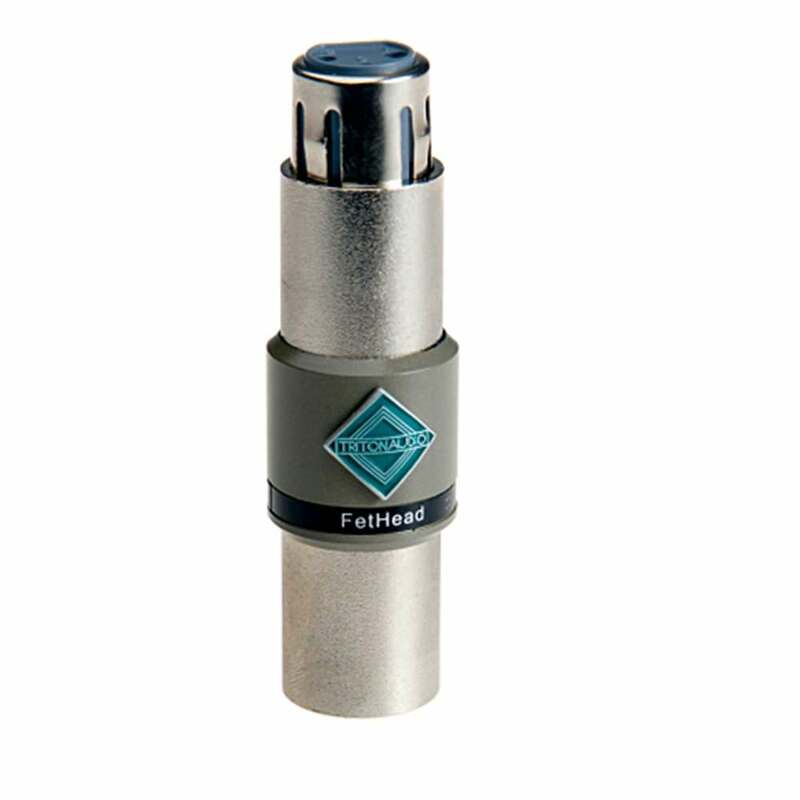 FetHeads high quality, low noise signal amplification also extends the usable range of a ribbon microphone, by making it more suitable for recording softer passages without introducing noise. Some ribbon microphones do not tolerate phantom power, FetHead's circuit uses Phantom power but shields it from its input (and the microphone's output), as a result it offers effective protection to the microphone. Fethead uses low noise jfets configured as a double class a amplifier. 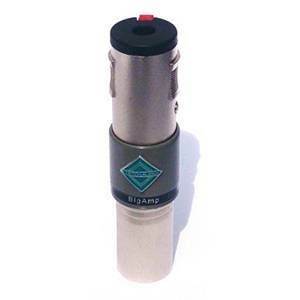 Jfet's are among the most quiet amplifying elements available today. The calculated noise figure of the FetHead based on the jfet's datasheet is lower than we are able to measure. Attach FetHead on to a balanced microphone cable and plug it in a dynamic microphone, switch on phantom power and enjoy FetHeads Natural open sound!